Fires have been in the news a lot in recent years. While wildfires are tragic, causing substantial property damage and endangering lives, they are not the only type of blaze that impacts Californians. Home structure fires are a very real danger that, as revealed in the discussion below, claims nearly 2,500 civilian lives a year (and we cannot ignore the deaths of brave first responders who make the ultimate sacrifice). As an Oakland apartment fire lawyer, Attorney Greg Brod helps the injured and grieving recover monetary compensation from those responsible for apartment fires whether it is the manufacturer of a faulty device or a landlord who does not provide appropriate fire safety equipment. On Monday morning, the danger of home fires became all too real for people residing in the 6200 block of Eastlawn Street in Oakland. CBS reports that firefighters arrived around 1:15 AM, but the fire quickly grew to two alarms and it took crews an hour to finally extinguish the flames. Sadly, a man and woman perished in the blaze. The fire rendered two apartment units uninhabitable and CBS reports that there had been previous fires at the same building. The fire remains under investigation. 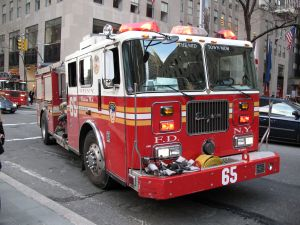 The National Fire Protection Association (“NFPA”) uses data from United States municipal fire departments to create estimated statistics on fires nationwide in the hope that the research will help prevent tragedies like Monday’s deadly blaze. One important part of this research is the Home Structure Fires report, most recently released in September 2015. According to the report, from 2009 through 2013, there were approximately 357,000 home structure fires each year. These blazes cost $6.9 billion in direct property damage, injured 12,890 civilians, and claimed 2,470 civilian lives each year. Looking at these numbers differently, one of every 335 households reported a home fire each year and every day seven people in the United States died in a home fire. Winter is the most hazardous time of year in terms of home fires. In the 2009-2013 period, 28% of residential fires occurred in December, January, and February (slightly more than the 25% expected if fires hit evenly) and 35% of home fire deaths occurred in those three months. Reports of home fires peak during the dinnertime window (5-8 PM), while fire death are more likely during the overnight hours (11 PM-7 AM) with a full 51% of home fire deaths occurring in that 8-hour timeframe despite only 20% of home structure fires occurring in that period. Looking at the entire 2009-2013 period, cooking was the top cause of home structure fires, involved in 45% home fires, 42% of home fire injuries, and 17% of deaths. Focusing on fatalities, smoking materials continue to cause the largest share of home fire deaths at 23% even though smoking materials cause merely 5% of home fires. Other common causes of home fires include: Heating equipment (16% of fires, 19% of deaths); Intentionally set fires (8% home fires, 14% of deaths); and Electrical/Lighting equipment (8% of fires, 15% of deaths). Some of the most important statistics involve the efficacy of fire prevention equipment. In three out of five fatal home fires, there were no working smoke alarms. Overall, the NFPA research showed smoke alarms were found in nearly 75% of reported home fires, substantially less than the 96% of all homes that have alarms according to survey results. Sprinkler systems can control a fire until emergency responders can arrive and act. A related NFPA study found sprinklers were present in a mere 6% of home fires reported between 2007 and 2011. Further, the death rate per 1,000 home fires dropped a whopping 82% when wet pipe sprinkler systems were in use. If you or someone you love suffered a fire injury and someone else was responsible, you may have a civil claim. Examples include suits brought against landlords for failing to provide working smoke detectors and claims against manufacturers when products like children’s clothes are not sufficiently fire-resistant. Our San Francisco, Santa Rosa, and Oakland home fire attorney is here to help you get the compensation you deserve.